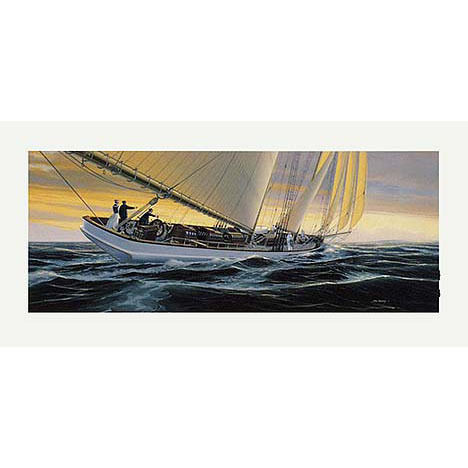 This 11" x 28" print was created by John Mecray, and features the yacht "Coronet". America's oldest surviving grand yacht is dramatically portrayed reaching toward her destination. The 133 ft. schooner was launched in 1885. She won fame in 1887 when she beat the famous schooner Dauntless in the third Transatlantic Race. Coronet is presently undergoing restoration at Newport's International Yacht Restoration School where Mecray is chairman of the Coronet Committee.